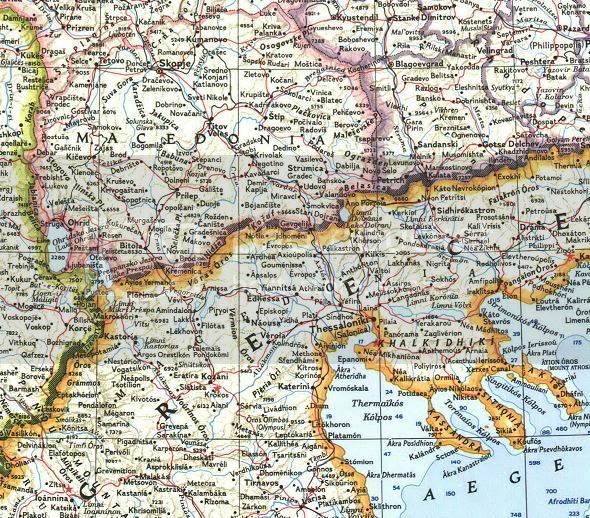 Macedonia noted on a map by the National Geographic, 1962! THE BALKANS, Atlas Plate 39, February 1962, Compiled and Drawn in the Cartographic Division of the National Geographic Society for THE NATIONAL GEOGRAPHIC MAGAZINE. Melville Bell Grosvenor, Editor, James M. Darley, Chief Cartographer.